O nly six months after the launch of its groundbreaking “Join the New World of Better Money” Mobile Money campaign, MTN Uganda has taken another step in leading the delivery of a bold, new Digital World launching “Join the fastest Internet in the New World”. The new thematic Internet campaign showcases all the things you can learn from the Internet. According to MTN’s Chief Marketing Officer, Ernst Fonternel, the new Internet campaign showcases the real beauty and benefits of the Internet when you join Uganda’s fastest network. MTN Uganda boasts the latest and most innovative mobile internet and digital value offerings with the widest coverage and fastest speeds across the country. “Oh, the things you’ll learn” is positioned in their new advertising to showcase how important the Internet is for discovering and learning. This comes in the backdrop of the deliberate investments MTN Uganda has made to enhance reliability in service. There has been enormous input on Network rollout and Infrastructure development to ensure that customers are able to enjoy a seamless service; both MTN voice and data services. MTN Uganda’s cumulative investment since inception in 1998 currently stands in excess of UGX 1.7 Trillion. 2013 saw MTN Uganda became the first operator in Uganda, and one of the very first in Africa to launch the LTE service. 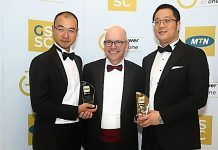 The launch of LTE represented a major jump in mobile connectivity capabilities with speeds of up to 100Mbps. MTN is further covering the country with speeds up to 42Mbps and ensuring great quality Internet and speeds for the broader Uganda population. During 2013 MTN more than doubled its Internet utilization driven by innovative solutions enabling the over 2.6 million data customers to gain access to 15MB Free Internet each month and Free Unlimited Facebook use through 0.Facebook.com and the number of users is projected to exponentially grow by end of 2014. With deliberate effort, MTN Uganda has positioned itself as the only service provider that offers Internet geographical redundancy by providing three Internet Uplinks that guarantee business continuity for its customers. This means that whether there is a Local Fiber cut within Uganda or a Fiber cut in Kenya or Rwanda, or an undersea cable cut, MTN can use an alternative route to still provide its customers with World-class Internet. In 2013, MTN Uganda focused largely on the expansion of the data network infrastructure and was the first in the market to introduce word class internet technologies through the 3G 42Mbps, 4G LTE and WiFi Hotspots. MTN Uganda total Data subscribers grew by 124% up to 2.4 million.According to Fonternel, in 2012 and 2013 alone, MTN Uganda’s CAPEX investments exceeded USD 150 million. This investment was mainly in expanding the network infrastructure to support the mobile subscriber growth as well as the rollout of new innovative products and digital solutions. 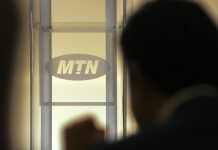 The continuous investment over the last 15 years has positioned the MTN Brand as number One in all categories as the Largest Network with the Widest Coverage, Fasted Internet and the Biggest Mobile Money Service Provider with direct and indirect Job creation and support exceeding 500,000 people. Additionally, in 2013, the company injected more than UGX 140 billion in upgrading the Network infrastructure and adding another 400Km of national fibre. By December 2013, MTN Uganda’s total Fibre infrastructure exceeded 3,200km. The site roll out exercise during 2013 saw the rollout of 115 new coverage sites and upgraded the capacity of another 406 Network sites. At the end of 2013 MTN had 1,220 Network Sites, with over 400 3G HSPA+ Sites and an LTE focus around Kampala which is supported by MTN’s Fibre infrastructure exceeding 3,200km countrywide. On the Social Media platform, MTN has demonstrated its leadership by growing more than 100% year-on-year and becoming the first Uganda Company to reach 200,000 Facebook Fans. Fonternel is optimistic that the numbers are growing each passing day. “We will continue to engage with our fans on a daily basis through Facebook, Twitter, YouTube, LinkedIn, Google+ and Instagram. Social Media has become such an integral part of our daily lives as people live-post what’s happening around them and how they feel about it, moment by moment. 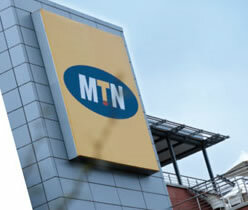 The future is definitely digital based and MTN will be leading from the front,” he added. Putting emphasis on data positioning, MTN Uganda has embarked on regional Internet Expos to showcase among others, MTN’s data products and services in an engaging, entertaining and informative set up. Fonternel said the Expos theme, Touch, Feel and Experience, will provide interactive platforms through partnerships with device providers to offer a complete unique customer experience. The MTN regional Expos are the company’s way of taking services closer to its audiences. 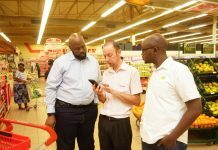 It’s also intended to create awareness for the vast opportunities available through the use of ICT as well as expose customers to the various data options available from MTN” Fonternel added. “Our strategic objectives are dynamic and provide a comprehensive roadmap to maintain MTN as a clear Number One for Customer Experience and Superior Quality,” Fonternel concluded. MTN customers can dial *150# to purchase Internet bundles.